Businesses around the world are looking to gain an edge in the race to digital ecosystem – to seamlessly incorporate new computing, communications, and collaboration technologies; to streamline their operations; and to connect more closely with customers, suppliers, and partners. To do so, they must look to the continually evolving ecosystem of hardware, software, IT services, and telecom companies. These sectors provide the products and services that make digitization possible. 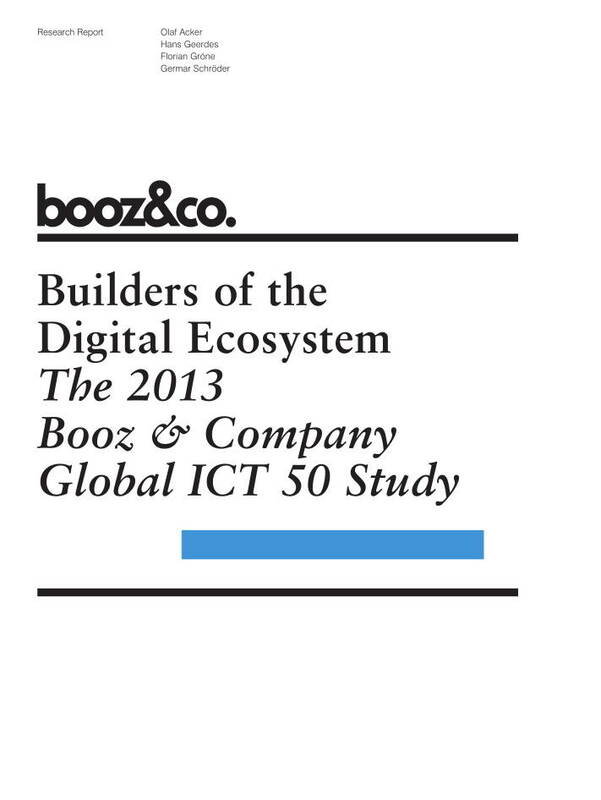 The goal of the second annual Booz & Company Global Information, Communications, and Technology 50 study is to analyze the top companies in the digitization ecosystem, to detect which ones are prospering and which are not, and to provide some guidance about why. As we did last year, we divided them into four sectors – hardware, software, IT services, and telecom – and then looked at them across four critical criteria: financial performance, portfolio strength, go-to-market footprint, and innovation and branding. The additional year of data gave us a closer look into how companies in each sector are trending, for better or worse. Posted in Business Intelligence, Digital Economy, Digital Media, Economy, Federal, Global, National Broadband Network, Services Industry and tagged Booz, Business, collaboration technologies, communications technologies, computing technologies, Digital Economy, digital ecosystem, hardware services, IT services, software services, streamline operations, telecom companies, telecom services.